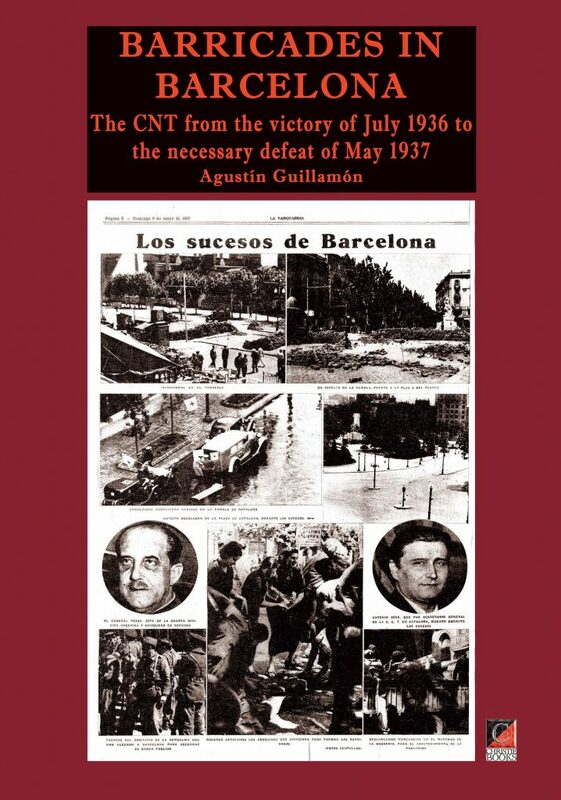 This book is about the barricades erected by the workers of Barcelona in July 1936 and May 1937, only ten months apart. It is a study of the reasons why they were built, as well as their similarities and differences. It attempts to explain the “offensive” character of the workers insurrection of July, and the “defensive” character of the May insurrection. How did the practically unarmed workers manage to defeat the rebellious army and the fascists in July? And how was it possible that, in May, a proletariat armed to the teeth could be politically defeated after having demonstrated its military superiority in the streets? Why were the barricades of July still standing in October 1936, while the barricades built in May were immediately dismantled? 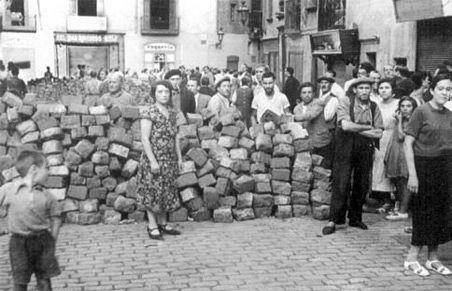 The myth of the barricades, which appeared in Barcelona on numerous occasions during the 19th century, in the general strike of 1902, during the Tragic Week of 1909 and the general strike of 1917, was not propagated in vain. As history teaches us, barricades are structures for defensive purposes, and almost always presage the defeat of the workers at the hands of the army or the police. 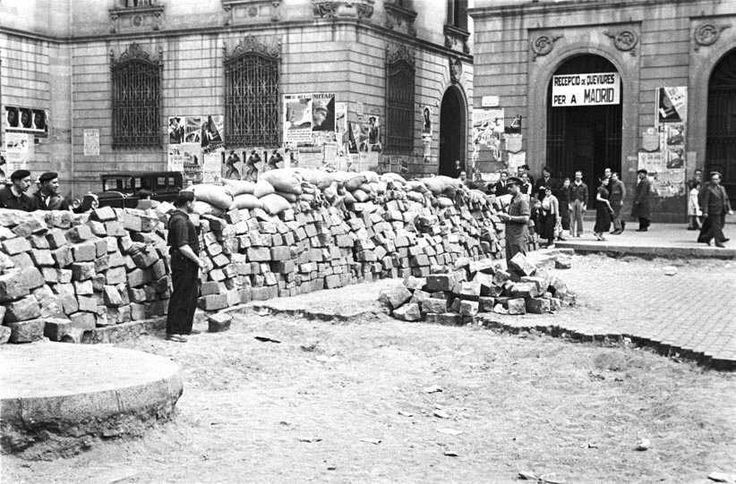 In July 1936 the first victory of the proletariat over the army took place at the Brecha de San Pablo, against some soldiers entrenched behind the barricades. This book considers the barricades as one instrument, among others, of the irrevocable decision of the proletariat to confront the class enemy; not as a myth that chains it to the past. It contemplates the barricades as a class frontier, with the proletariat on one side, and the enemy on the other. Today’s class frontiers would include on the enemy side those who deny the existence of the proletariat, confuse the Stalinist dictatorships with communism, propose the conquest of the state instead of its destruction, or proclaim that capitalism is eternal. 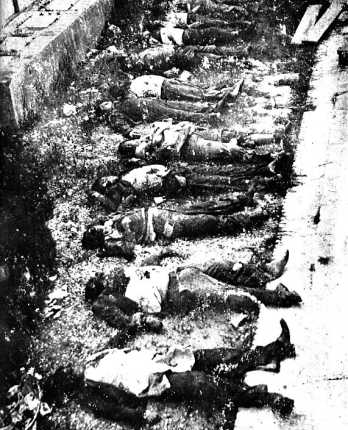 The disfigured and tortured bodies of twelve members of the San Andrés Libertarian Youth (FIJL), murdered by Stalinists. Their remains were discovered two days later, dumped in Cerdanyola cemetery. total casualties amounted to five hundred dead and several thousand wounded. In the epilogue, the committees that arose during the Spanish revolutionary events of 1936 are considered in the context of the international experience of the Russian soviets and the German councils, in order to recognize them as a form of revolutionary organization of the working class. July 1936 was a victorious insurrection; but was the insurrection of May 1937 a victory or a defeat? This book aspires to understand why, and above all how, some of the revolutionary leaders of July 1936 became the most disastrous and influential counterrevolutionaries of May 1937. To put it another way, it attempts to explain the history of the workers movement and to discard the ridiculous comic strips of supermen and traitors, as well as the bourgeois or Stalinist biased arbitrary interpretations that are characteristic of university academic studies. The task of the poet is to ask the questions, the job of the historian is to try to answer them, and the privilege of the reader is to judge whether the responses given are correct and convincing.